This weekend at Comic-Con, American Horror Story executive producer Tim Minear described the show’s upcoming fourth season, subtitled Freak Show, as “Douglas Sirk meets Zodiac.” Unable to hire the famed director of Imitation Of Life due to death-related issues, Freak Show did the next best thing, casting Zodiac suspect John Carroll Lynch as one of the season’s villains. 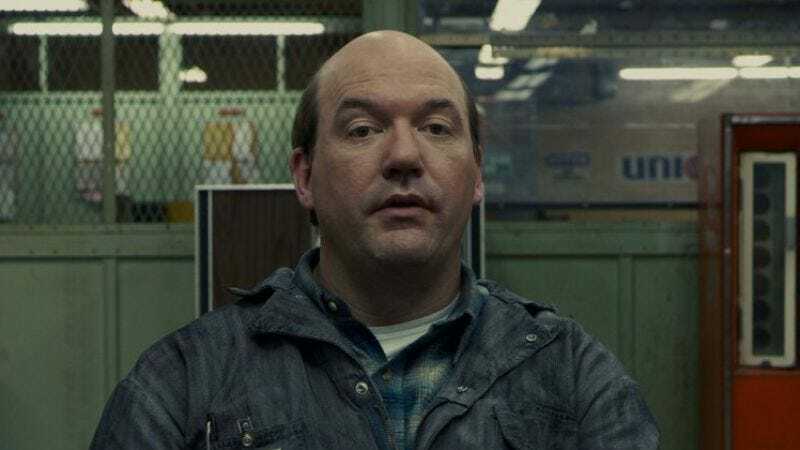 Lynch’s casting should also lead to a sharp increase in comparisons between Carnivàle and Freak Show, with echoes of that show’s Varlyn Stroud drowning out complaints that Lynch is now unavailable to show up as a young Norm Gunderson in the next season of Fargo. The show’s Comic-Con panel shed further light on Ryan Murphy and Brad Falchuk’s little Freak Show, matching character names to previously announced cast members (prepare to live in a world in which Michael Chiklis is known as “Wendell Del Toredo”) and explaining how Sarah Paulson will play conjoined twins without the aid of a prosthetic. “It’s done in a way that’s never been done before in a sense that no person has played a person with two heads,” Paulson told the crowd, building the first of Freak Show’s many mysteries, and certainly not the last to receive only the teasing hint of payoff—something else the season will have in common with Zodiac.